Athena's Altar - Zorba's Altar to the Goddess Athena. Wisdom - modern day worship of the Goddess Athena. Athena - A mailing list to discuss the Goddess Athena at Yahoo Groups. Athena, Goddess of Wisdom - at Perseus Project. A Goddess For Men - Athena - at About > Homework Help > Ancient/Classical History. Pallas Athena, Goddess of Wisdom by Elinor Stebbins. Athena & Minerva - Ancient Greek & Roman Gods for Kids. 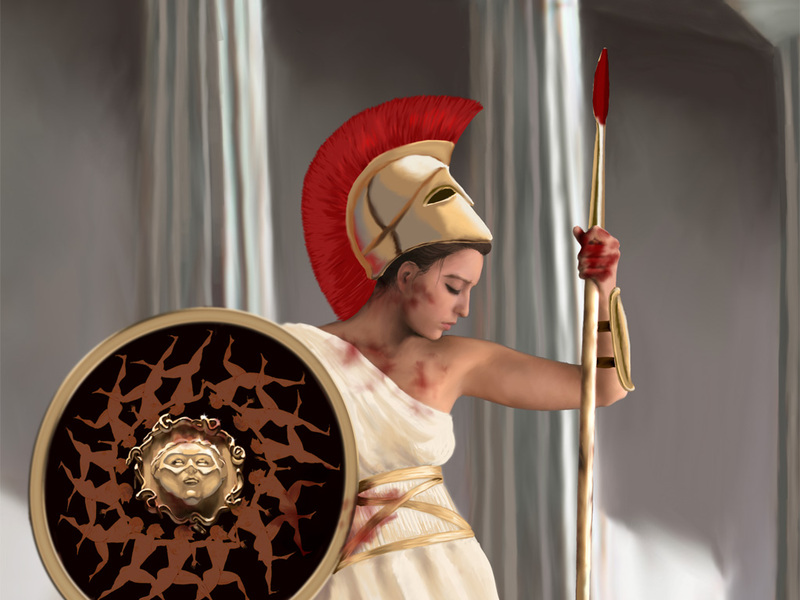 The Role of Athena in Ancient Greek Art - A Discussion by Frederick John Kluth of Kent, Ohio. 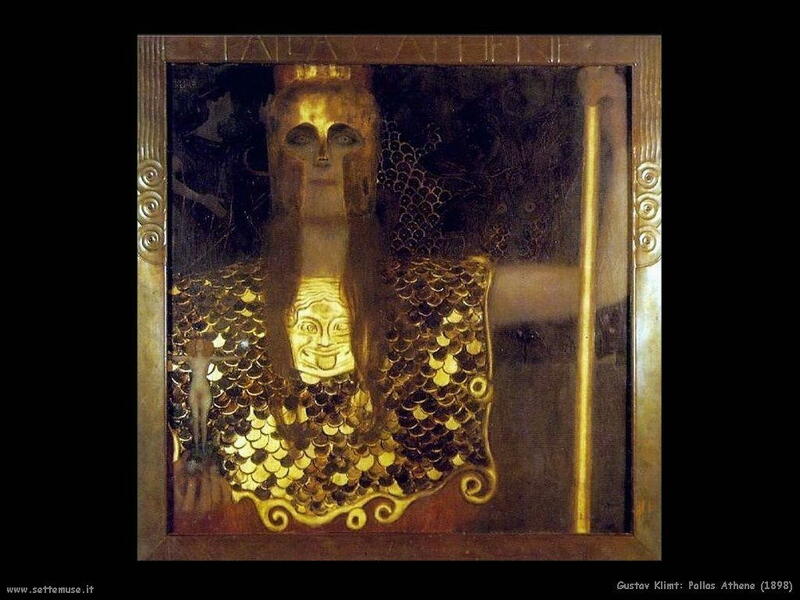 Pallas Athena by Klimt: (1024x768), (1024x768). 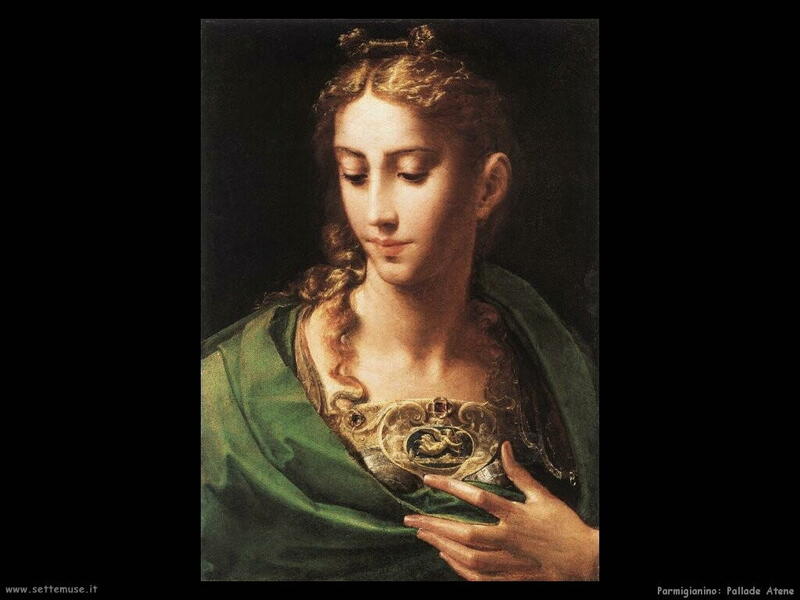 Pallas Athena by Parmigianino: (1024x768). Pallas Athena Print: (1600x1200), (1024x768). Minerva and the Centaur by Botticelli: (1600x1200), (1024x768). Pallas Athene Fountain: (1600x1200), (1024x768). 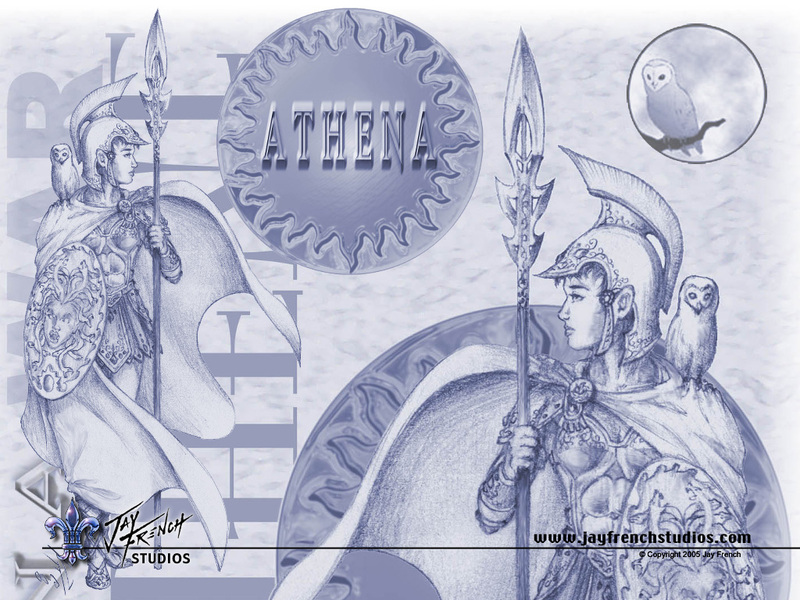 Athena by Jay French Studios: (1024x768), (800x600). Athena by Saint Seyia: (1024x768). Diotima - Women and Gender in the Ancient World. Encyclopedia Mythica - A source on mythology around the world. Greek Mythology - A site dedicated to the heroes, gods and monsters of Greek mythology. Greek Mythology Link - Site on the Myths, with a good page about Athena. 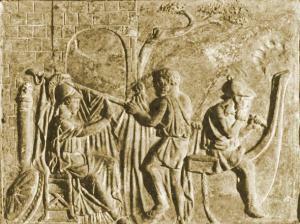 LacusCurtius: Into the Roman World - The best site dedicated to ancient Roman culture. Mythology Guide - Collected information on Greek and Roman myths. Perseus Project - The best site dedicated to ancient Greek culture. The Roman Calendar - The Calendar in Roma Antiqua at Nova Roma. Temple of Minerva at Assisi - Santa Maria sopra Minerva is a church built over a Roman temple to Minerva. Temple of Minerva Medica in Rome - Was a temple in ancient Rome, built on the Esquiline Hill in the Republican era. The Julian Society - The Julian Society is a non-denominational religious order dedicated to the advancement of Pagan religion. The Prometheus Trust - education in philosophy, mysticism, religion and mythology. Timeless Myths: Classical Mythology - Guide and tales of gods and heroes from classical Greek and Roman mythology. The Gods and Goddesses of Ancient Mythology - Many great resources on Greek, Roman, Norse, Egyptian, Native American, Sumerian, Asian and Celtic mythology. Mythology - Many great resources on Greek mythology. Biblioteca Arcana - Theory, History, Rituals, Divination, Hymns, Poetry, etc. Cheiron Hellenic Pagan site - With information about the Religion, Philosophy, and Culture of ancient Hellas. Demeter - Greek Goddess of the Bountiful Harvest and the Nurturing Spirit. Devotion - A Shrine to the Gods of the Greeks. Prayers and other writings devoted to the Hellenic Gods. Dionysos - The Greek God of wine and revelry (known to the Romans as Bacchus). 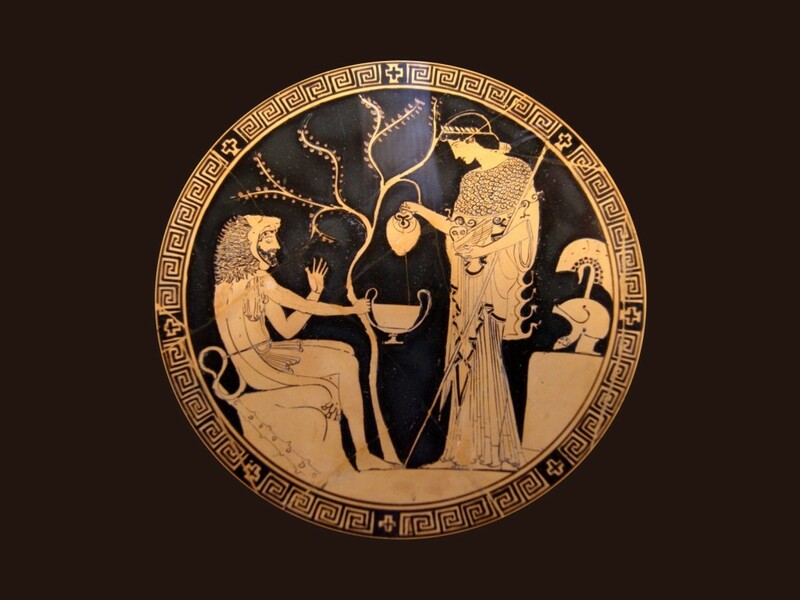 Eleusinian Mysteries - All that can be told about the myth of Demeter and Persephone. Gallery of the Muses - Virtual gallery contains artwork representing the Greek Muses from ancient times to the modern era. Greek/Hellenic Reconstructionist Paganism - The Cauldron: A Pagan Forum. Hellenic Polytheist Directory - by Zoe. Hellenion - a US-based religious organization dedicated to the revival and practice of Hellenic polytheism. Hellenic Month Established Per Athens - not very accurate but useful. Helliniki Hetaireia Archaiophilon - The revival of the traditional Hellenic religion. Hellenism - What We Believe, What We Stand For - V. Rassias’ Webpage. Moon Phases - Griffith Observatory Moon Phases 1997-2014. Muse Melete - A personal site featuring Greek Muses and Greek Mythology. Nova Roma - Roman reconstructionist organization. Romana Polytheist Directory - by Zoe. Societas Hellenica Antiquariorum - The Helliniki Hetaireia Archaiophilon is a non-profit private organization, based in Athens-Greece, dedicated to the revival of the traditional Hellenic religion of the Dodecatheon. Societas Via Romana - The Society of the Roman Way. Temple of Hecate Online - by Greg Crowfoot. Temple to Iupiter - by Darth Vilmur. Pagan and Wiccan Religion - At About.com. The Stele - Home Page of The Omphalos.